Mark Wahlberg stars in this tragically true story of heroism and courage. 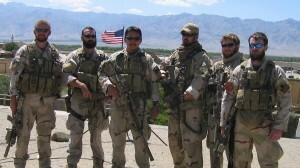 Lone Survivor recounts the failed 2005 mission when four members of SEAL Team 10 attempted to capture notorious Taliban leader Ahmad Shahd. What’s it about? Four Navy SEALs are sent on a mission to capture the leader of a brutal al-Qaeda operation. However, isolated from help the group faces an impossible moral decision – the outcome of which triggers a brutal attack from the Taliban. Heavily outnumbered the four men must fight against the odds but, as the film’s title suggests, there are tragic consequences. Verdict: The film opens in the midst of a busy army base in Afghanistan and a wide mix of characters are introduced to the audience sporadically. The conversation is disjointed and focuses on the men as a whole rather than the four main characters but it does make them instantly relatable as they discuss menial, everyday topics whilst preparing for a life-threatening mission. The characters are split into groups and the upcoming mission is detailed, which is when the story picks up pace. The various characters are much easier to follow once you know who the four central ones are, and when they’re in the mountains, away from the hustle and bustle of the main base, you’re given the opportunity to focus on the story at hand without any confusion or distractions. The 15 minutes or so that follow are perhaps the most crucial in building a connection between the characters and the audience. They precede a 45-minute epic action sequence, and during this time we get to know each character’s distinctive personality traits and we share their threat of impending doom when it becomes apparent they’ve lost contact with the base. However, before we have a chance to fully invest ourselves into these characters and their plight, the Taliban attack and from then on it’s non-stop action. For 45 minutes there are guns, blood and a lot of death. Undeniably there are the occasional moments of tenderness between our four leads, times where they risk their lives in order to save each other and make huge sacrifices in order to ensure that no man gets left behind. Unfortunately you can’t help but feel that moments such as these would have been more effective if more time been devoted to getting to know the characters. Yes, these scenes have impressive cinematography and great performances but a stronger audience connection to the characters is missing. The fighting ceases just as it starts to exhaust itself, and it’s a refreshing and welcome change to be focused on the lone survivor Marcus (Mark Wahlberg) as he fights his way to survival. Having lost all of his ‘brothers’ in the battle and with no way of contacting the base he’s given sanctuary by some kind-hearted villagers. However, after a few all-too-brief tender moments of interaction between Marcus and the father and son who saved him, more bloodshed and violence ensues. Despite the abundance of violence and lack of dialogue throughout the film it remains impossible to not be moved, particularly during the final scenes. Before the credits roll, photographs of the real soldiers behind the characters fill the screen in a touching and thought-provoking tribute, bringing home the brutal reality of war. Detailed and informative captions follow, which help to answer any questions that the film left unanswered. Both the photographs and the captions are a heartfelt and emotional addition to the film, reinforcing to the audience just how real it all is. Final Words: The entire cast shines in this adrenaline-pumped action fest that provides a brutally honest and moving tribute to those risking their lives on the front line. Extra character development before the action kicked off would have helped to connect the audience with the characters and create an even stronger emotional impact. 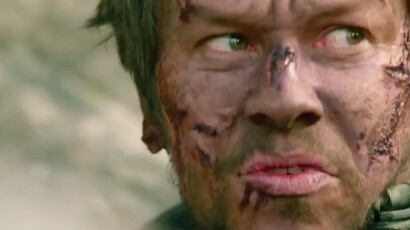 Lone Survivor (18) is released in UK cinemas on 31 January 2014.